This month In The Stirrups speak with the woman behind Learning to Listen, a charity healing horses and humans with their work. Dressage rider Lara Dyson introduces us to her ‘Gentle Giant’. All the news and results from FEI Dressage, Eventing and Showjumping. Don’t miss out on EQ-PR’s top tips to stay social media savvy! WHY I KNOW THAT DRESSAGE IS NOT FOR ME! I have been on my journey of Dressage discovery now for a long time and just recently I have come to the conclusion that Dressage is not for me! Highly skilled riders know that they must stay close to their horses each and every day in order to build the intimacy required for the work. They build a partnership and they know their partner’s moods; their likes and dislikes. The term ‘Dressage’ for them, encompasses everything that they do, not just in the arena. So, moving from the stable to the school is seamless: a working partnership from stable to schooling arena to the show ring and home again. However you are feeling, whatever your energy, this reflects in the way you are around your horse. If you carry your emotional baggage into the stable (bad day at work, people problems, etc.,) it will inevitably influence your horse and therefore your partnership performance. Emotions are not all bad, they are the source of power you need to be a dressage rider in the first instance; but controlling them will bring you the most success. You need to be very careful what you put into your partnership. Most tasks can be likened to computers – if you write bad code, you will have to rewrite it at some point! – the partnership with your horse is no different and for this reason it can be helpful to learn to neutralise your emotions before you go to the stables and certainly before you get on your horse. There is a very powerful N.L.P. Technique called ‘Anchoring’. 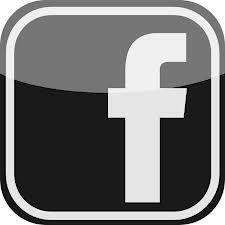 It is used to elicit a positive response to something that you do. With Anchoring it is possible to start unconsciously smiling when you touch a shoulder. It can instantly change how you feel and can help you in many, many situations. What you need to do is anchor a positive emotional response and fire the anchor whenever needed. Do whatever it takes to make you feel the emotional state of happiness (look at a picture you love, bury your head in your horse’s neck and take in a lung full of horsey smell, perhaps recall a story that made you smile). Really embrace and feel the emotion as you do it, like nothing else matters or will ever matter. Whilst you are there, do something and hold the position for a few seconds (clench your fist, scratch your nose, pull your ear, touch your shoulder, rub your leg – you get the idea?) and remember the exact area that you’ve touched. You are setting the emotion to an anchor. Remove the anchor and change the subject. If the process has been successful, the next time you feel anxious, angry or negative, activate your anchor (scratch, rub, pull in the spot you anchored) and you should experience the happy emotional response that you felt as you set the anchor. If the technique doesn’t seem to produce the desired effect, keep repeating the exercise until the wanted effect is reached. “This Dressage thing is not for me … it’s for my horse”. Gaining an understanding that I need to work hard, even to the extent of changing my emotional state, for my partnership with my horse to flourish; based on trust, love and mutual respect, has been epic. We both need to be happy but truly great riders do what they do for the sake of the horse, not themselves. Why not have a go at discovering what you can do to make your dressage journey as epic as mine? 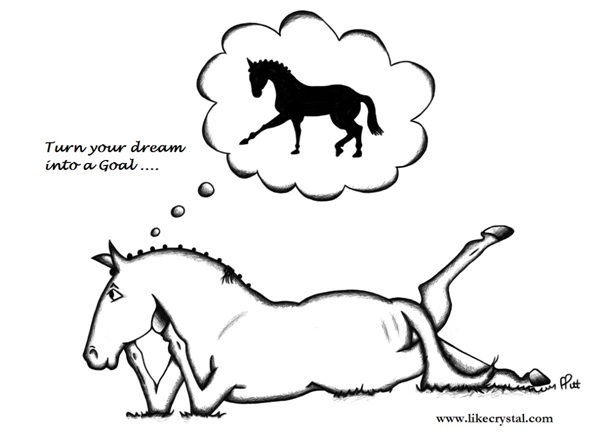 Buy the Crystal System Book and have fun evaluating yourself and your horse, whilst putting in place a plan to help you achieve your dream, whatever that may be.